Most concrete slabs will sink over time, it's a normal process. However, if it sinks too much, you could have a tripping hazard or water could pool into a lower spot. The water can sink into the underlying soil causing a vicious cycle, ending with a destroyed concrete slab. 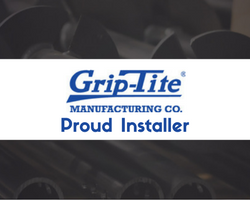 You may think you need to replace your entire slab, but we have a better solution. 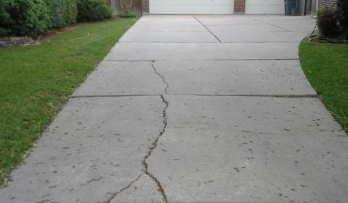 The reason that the concrete is sinking in the first place is because there are voids under the slab. The experts at Southeastern Home Solutions can use Poly Raise to fill those voids, and raise and level your slab back to it's original position. Poly Raise to the Rescue! Our Southeastern Home Solutions professionals will drill small holes in your slab, and inject a polyurethane foam that will expand and fill the voids underneath the slab. Once the slab is lifted to the desired level, the holes are sealed and the foam is allowed to set. It only takes a few minutes for it to harden and become strong and durable. Our Poly Raise solution has many benefits, aside from it being effective and long-lasting. The foam expands completely underneath the slab, filling all the holes, cracks and voids permanently. You don't have to tear up your existing slab and your landscaping won't be disturbed. Contact Southeastern Home Solutions today to learn more about this fantastic product. We look forward to working with you to make your home safe and comfortable and increase your property value in Huntsville, Chattanooga, Birmingham, and the surrounding area!